..brought to you by Michelle Page and her Danger Dog Blog. 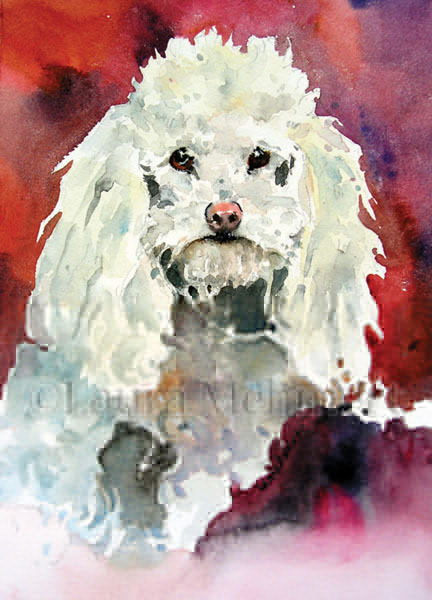 Her blog and Nepal Art Dog project transport me to another world, figuratively. I could only hope for literally! Going to Mustang has long been a dream of mine. What would it be like to see this in person! 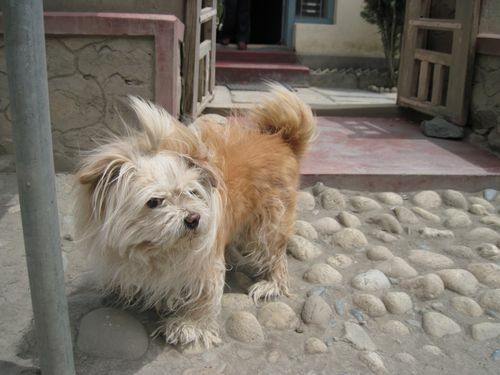 Here’s what Michelle wrote about this dog: This little Lhasa Apso is named Tashi and lives in the town of Eklaibhatti in Mustang. With his hair pulled back to counter the raging Kali Gandaki winds, he can see across the plains. See more Dogs of Mustang, compliments of Michelle. 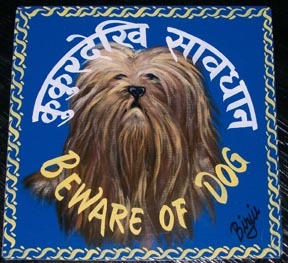 The motto for the Nepal Art Dogs, Folk Art from the Himalayas, is ‘Micro-finance through art patronage!’ There is a tradition in Nepal of ‘beware of dog’ signs. Approximately one foot square, the signs are hand-painted on recycled metal and can be hung indoors or out. 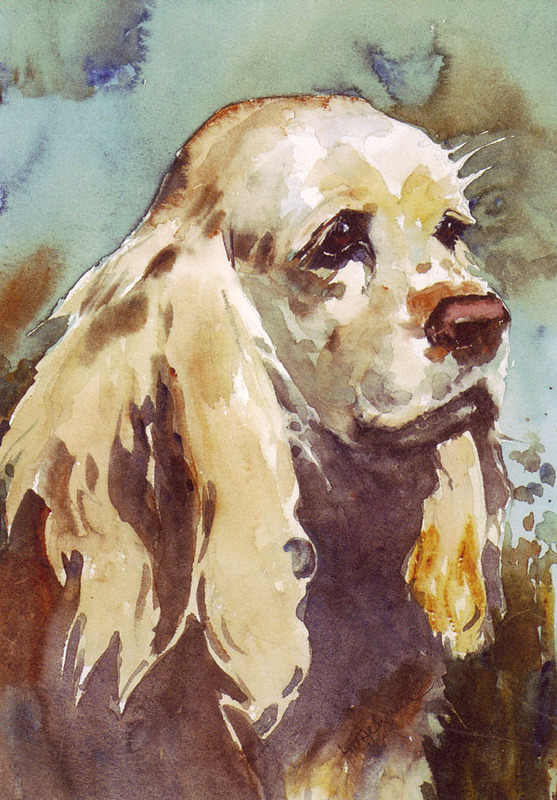 According to Michelle, on her most recent trip to Nepal, the Danger Dog commissions were the only art these artists were still hand painting. 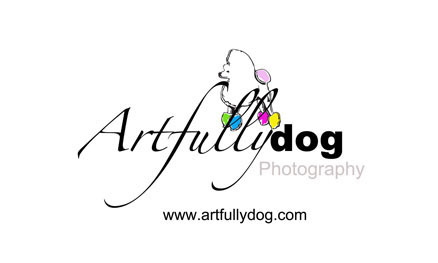 Their other work is mass-produced, digital or printed on flex. 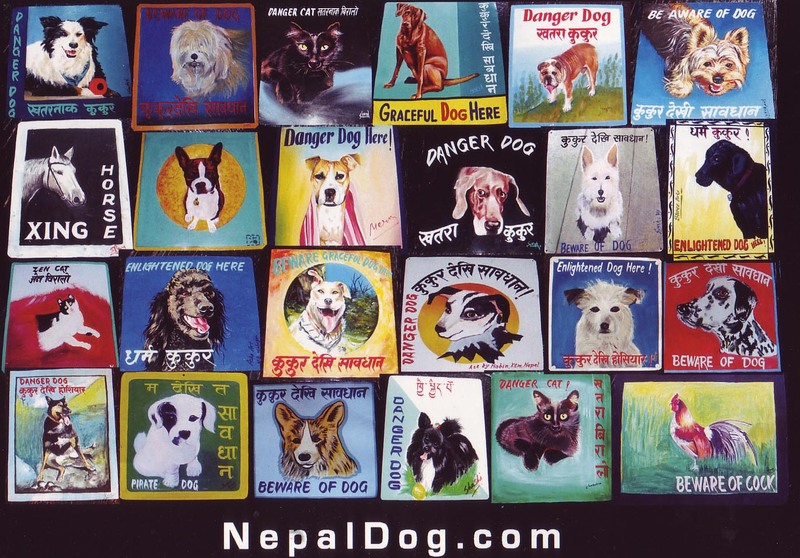 You can commission a sign through NepalDog.com. Each commission is given to at least 3 signboard artists – giving 3 people work, the pet owner a choice and museum shops Nepali folk art. No money is accepted up front. If you don’t like any of the 3 choices, you pay nothing. That was the exhibit we saw – Going Back: Midwestern Farm Places. The images were beautiful and haunting. February is Flylady’s month to declutter. What better way to celebrate than to find yet another treasure. 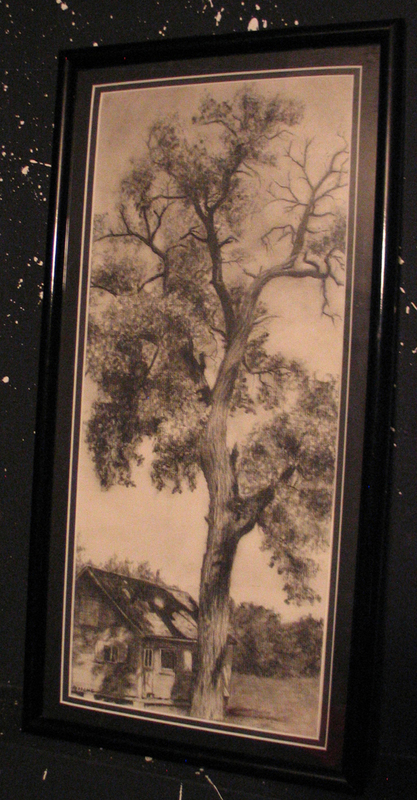 A reminder of my nephew Dustin’s charcoal drawings. I googled his name, hoping he has a website. No luck. 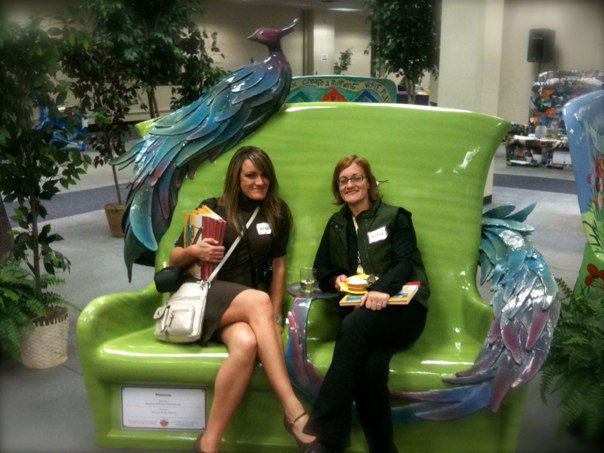 I did find this photo of his wife Kari sitting on a bench they made for 2010 Benches On Parade. BOP is a community arts project that showcases local creativity and civic pride while helping raise funds for local non-for-profits. Ah! More treasures decluttering! On the back this series of note cards titled Notes from the heart, ” Colorado artist Laura Mehmert has become know for her moving paintings and sculptures. 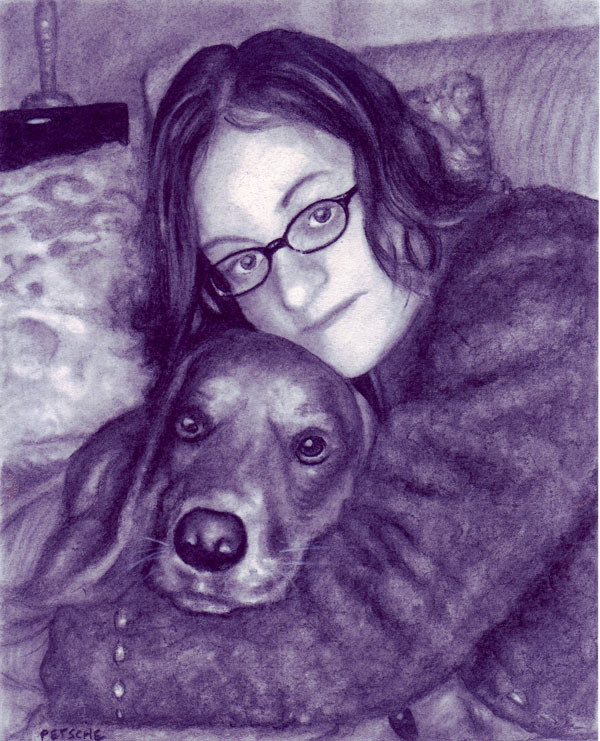 She creates her cards, journals and prints from these original works of art.” This one it titled Lily. I groomed Lily her entire life and fondly remember those freckles on the end of her muzzle. She was a sweet dog with a big heart. 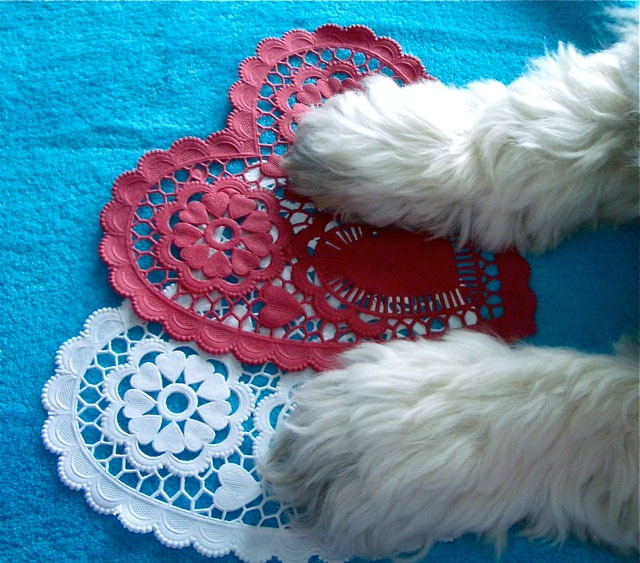 What fun surprises I found exploring Shop on Laura’s website. More clients! All of these dogs have passed, but Carol and I had the good fortune to groom each of them for most of thier lives. Abner grew up with a little girl. 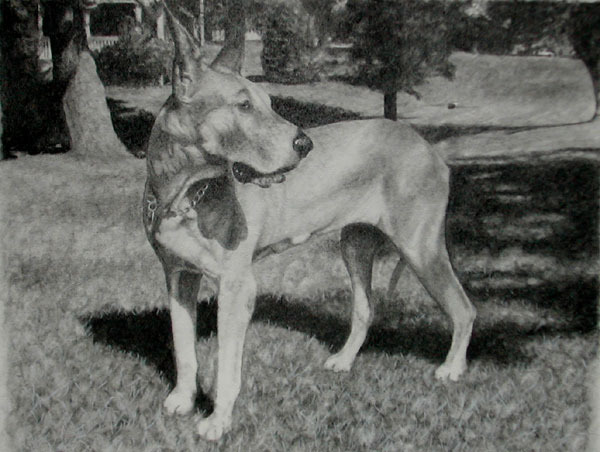 Her father would drop him off and request ‘manly’ bows…said Abner was actually a pit bull in the witness protection program. And Shu Shu. 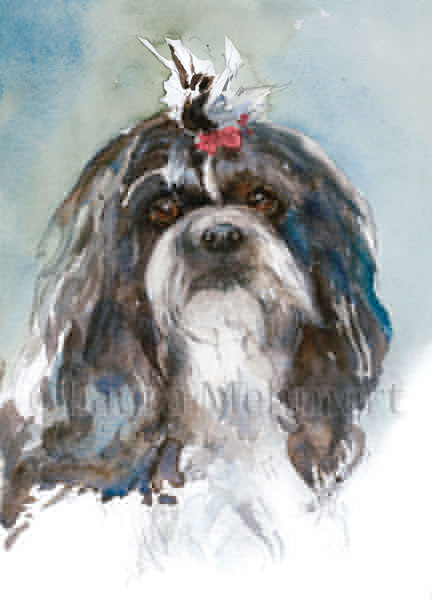 She represented the Shih Tzu in Animal Planet’s Breed All About It on the Lhasa Apso. Shu Shu died several months ago. Thateus went to live with her owner and Cinsha. Two of your favorite things!! Ethan Murrow received his B.A. from Carleton College and his M.F.A from The University of North Carolina. He shows his work nationally and internationally. Upcoming solo shows include La Galerie Particulière in Paris and Winston Wachter in Seattle. 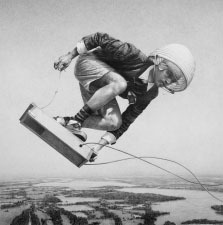 Recent solo exhibitions include, Winston Wachter in New York City and Obsolete in Los Angeles. 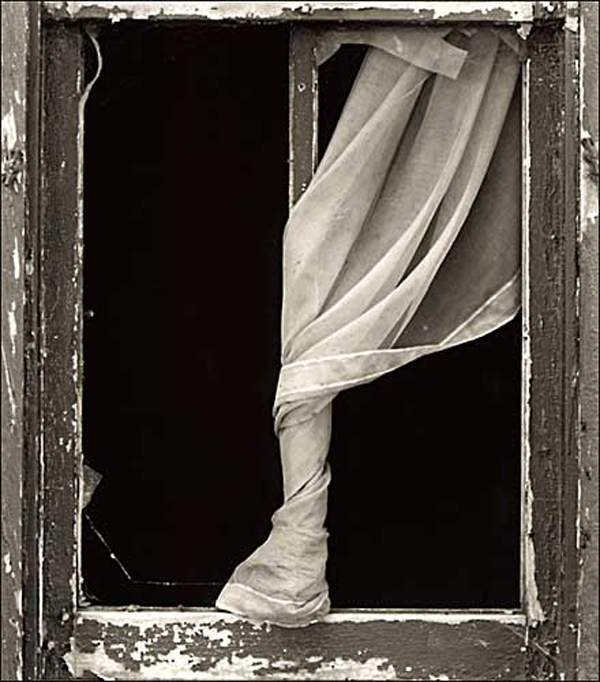 Ethan’s short film, “Dust,” was an official selection of the 2008 New York Film Festival. Ethan’s work is in many collections worldwide including the Guggenheim Foundation. His work has been reviewed and published widely, including recently in the Los Angeles Times and the Seattle Times. Ethan is currently a full time faculty in painting and graduate studies at the School of the Museum of Fine Arts, Boston. In 2010, Ethan also served as the Dayton Hudson Distinguished Visiting Artist and Teacher at Carleton College. His writing work appears regularly in theHuffington Post.